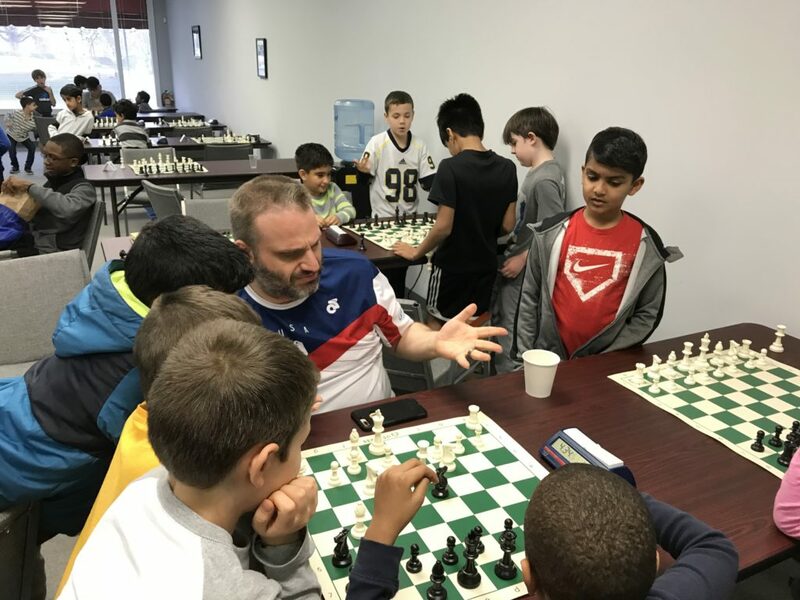 The Chess Club and Scholastic Center of Atlanta (CCSCATL) school programs are run by world-renowned chess educator GM Ben Finegold. GM Ben Finegold has more than 30 years of experience as a professional player and chess teacher/coach. Please see our About page for more details on GM Finegold’s vast teaching experience and achievements over the board. We would love to set up a chess program at your school! CCSCATL hires top chess instructors and uses an advanced curriculum to train students of all levels (beginner on up to tournament player). Each class will begin with a lesson/lecture taught by GM Ben Finegold and/or other highly qualified instructors. The second half of the class will consist of puzzles, exercises, and casual play. Students will be provided with optional homework activities to do each week to improve skill levels. The maximum student/teacher ratio is 15:1. Each student will receive a 1-year Gold membership to chesskid.com, where he/she can play other kids, watch video tutorials, practice drills, and do puzzles. Each child will receive $5 off of two separate tournaments held at CCSCATL during the school year. Chess boards, sets, and clocks provided for the school chess club. Prices are about $250/child/semester (based on approximately 15-week schedule and an hour-long class). Please email Karen@atlchessclub.com or call (678) 628-5615 if you are interested in setting up a chess program at your school! We can discuss pricing and scheduling. To view information about our homeschool programs, please visit our Homeschool page.